I had a few days camping in Cornwall last week, with only one decent day I only returned with one full memory card and a handful of keepers. 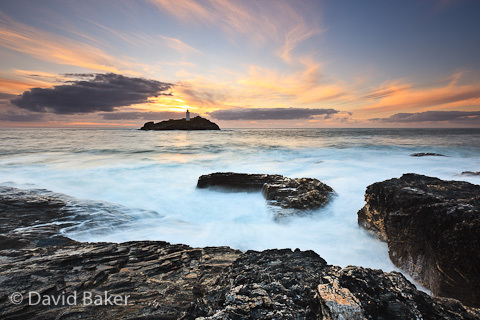 Situated just across from St Ives is Godrevy Lighthouse, surrounded by rocky shoreline and dramatic cliffs it really is a great location. ~ by David Baker on 6 July, 2010. A handful of keepers? That is a successful trip. If I get one then I’m happy. Good detail on the foreground rocks and a lovely sky.